An in-depth study of one branch of the 8-limbed path of Yoga, the Yamas. 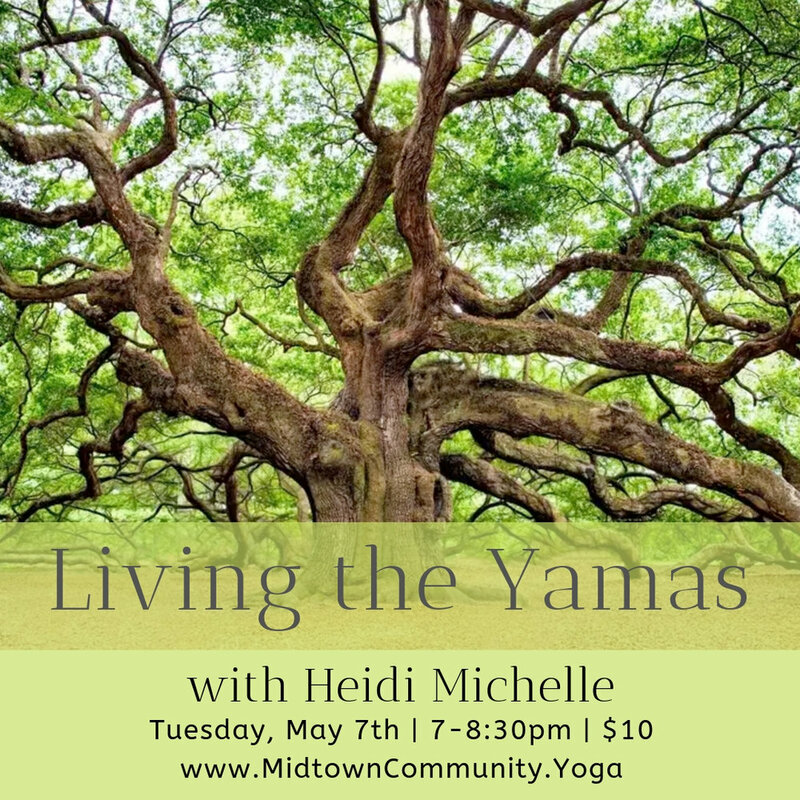 The Yamas are the “code of ethics," or “spiritual suggestions,” of the yogi. Some call the Yamas the Yoga of Relationship as they give us age-old guidelines on how to live a virtuous and meaningful life. Come listen, explore, discuss and contemplate how the modern yogi embraces these practices and how we can best live in integrity with ourselves, with others and with the world around us. No asana, discussion is always optional. Bring: journal / notebook and pen.